Hassan Rouhani must be feeling like he’s stuck in the movie “Groundhog Day” as he was sworn in for a second term as the Iranian regime’s handpicked puppet president of Ali Khamenei and his fellow mullahs. Four years ago, he was handpicked by his fellow clerics to be the “moderate” face of the regime and push for a lifting of economic sanctions that were crippling Iran through a nuclear agreement with the West. With the help from the Iran lobby and a misguided Obama administration, he shepherded a deal through that saved him and his fellow mullahs from being tossed out on a wave of broad discontent among the Iranian people. Now he begins a second term finding himself once again trying to promote a nuclear deal that is in danger of going the way of the dodo bird; only this time he finds a much different world stage he stands on in which the Iranian regime’s true colors have been on vivid display. He finds President Donald Trump clearly skeptical of the regime’s intentions and efficacy of the nuclear deal. He finds a U.S. Congress voting overwhelmingly to impose new economic sanctions because of Iran’s ballistic missile program. He finds a Trump administration moving quickly to impose economic sanctions targeting Revolutionary Guard Corps leaders and companies involved in ballistic missile development. Most worrisome, he finds a weakened Iran lobby machine that has lost much of its punch and influence with the transition of the Obama administration leaving many regime advocates cut off from the West Wing and cabinet agencies. Rouhani attempted to offer up some tough-sounding rhetoric, but only ended up reminding watchers of his precarious position within the regime as his own brother was arrested on corruption charges. “Today is the time for the mother of all negotiations, not the mother of all bombs,” Rouhani said, referring to the US dropping its largest non-nuclear bomb ever used in combat in Afghanistan in April. The Afghan president, Ashraf Ghani, was among those present at Rouhani’s inauguration. Tehran has complained the US is reneging on its obligations. Iran’s parliamentary speaker, Ali Larijani, said last week that Tehran had formally complained to the joint commission supervising implementation of the accord over the US senate’s new sanctions against Iranian entities, imposed over Tehran’s testing of missiles. It is a curiously ironic stand for the regime to make since Iran was adamant during negotiations over the nuclear deal two years ago that “side issues” such as the regime’s ballistic missile program, sponsorship of terrorism and human rights abuses should not be part of the agreement. When the Obama administration caved into those requests and took them out, the stage was unwittingly set for the Trump administration and Congress to act on those same “side issues” separately and apart from the nuclear deal and now the mullahs are crying foul like squealing babies whose milk bottle has been yanked from their mouths by a stern father. The Iranian regime clearly wants a double standard on its conduct and now that it isn’t getting it, the mullahs cry foul and threaten to pack up and leave like petulant children. It’s an appropriate metaphor given how Iranian parliament members acted when European Union policy chief Federica Mogherini showed up for the swearing in ceremony and was promptly surrounded by them in a rush of sophomoric selfies. The scene was roundly criticized in Iranian state media and on social media for the “strange” behavior being exhibited. The Fars news agency posted a photo which many social media users felt showed Mogherini unimpressed – and labelled the MPs’ behavior “strange”. 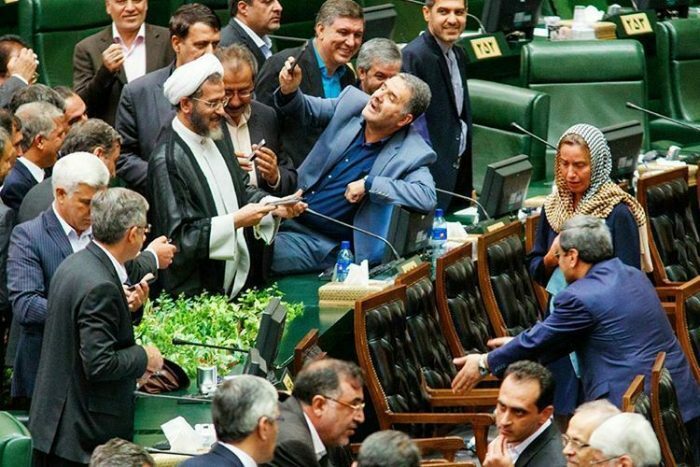 One MP, Alireza Salimi, called the behavior “self-surrender to the West”, and said that a committee on the conduct of members may probe the incident – if other MPs complain that the selfies caused “contempt” for parliament. One popular tweet compared the image to a scene from the film “Malena,” where crowds of men rush to light actress Monica Belluci’s cigarette. But the irony was not in the rush for selfies, but rather the fact that most Iranians are barred from using social media platforms such as Facebook, Snapchat and Twitter because of their widespread use by political opponents and dissidents. It is also ironic to see Iranian MPs swarm a female politician when so many Iranian women are brutalized by misogyny laws passed by the same parliament permitting underage child marriages and restricting job opportunities and educational choices for women. In fact, women are still prohibited from riding bicycles on public streets throughout Iran. Now that is more compelling irony. It seems that the “echo chamber” created by members of the Obama administration and the Iran lobby is still alive and kicking and trying desperately to keep support flowing to the Iranian regime in light of increasing calls to get tough on Iranian regime because of its continued support for terrorism, brutal human rights abuses and flagrant violations of international sanctions with ballistic missile launches. The Iran lobby, especially the National Iranian American Council, has been especially busy making excuses every time Iran hangs a dissident, puts down a protest or sentences a dual national to prison. Many of those “experts” sympathetic to the regime and preserving the nuclear deal at all costs continue to push false narratives like a used car salesman pushing a clunker with a rolled back odometer. “The goal should be to guard against any further escalation of hostilities. After all, unless the administration is willing to wage war with Iran, this confrontation won’t achieve anything useful for the United States. What it will do is further strengthen the hardliners in Tehran, a process that is already underway, and undermine moderates such as President Hassan Rouhani and Foreign Minister Mohammad Javad Zarif less than three months before Iran’s presidential election,” Sinclair writes. Rarely has a paragraph been loaded with more inaccuracies than that one. First of all, Trump has made it clear with his criticisms of the war in Iraq during the campaign that he is not in favor of nation-building by military force, but he has also made clear he was not going to offer a blank check to regimes such as Iran and Syria to do whatever they wanted since the end result of those kinds of actions has brought chaos to the Middle East. Trump has laid out a belief that ignoring Iranian regimes’s militant actions does little to ensure regional stability and peace. Confronting the regime on issues such as human rights, proxy wars or provocative military acts are the right policy if Trump’s administration takes up that road, but saying that such a path only leads to war is one of the boldest falsehoods of the echo chamber. Trump has at his disposal of plethora of tools, many used successfully by previous administrations, to force Iran to the bargaining table which is exactly what happened recently. The only problem was that the Obama administration fumbled the ball by caving in to every demand the Iranian mullahs had and getting little in return. Contrary to Sinclair’s missives, confronting Iranian regime is exactly the right course of action since to do nothing except issue paper condemnations does nothing to rectify the situation. Using harsh language as Iran’s Quds Forces supply Houthi rebels in Yemen with arms so they can destabilize the country and risk a regional war between Saudi Arabia and Iran breaking out is not only bad foreign policy, it’s stupid. Also, when Sinclair calls Rouhani and Zarif “moderates” the only polite thing to do is to keep from laughing hysterically out loud. The only real moderates in Iran sit in Iranian prisons or have been driving out of the country as political refugees. As a religious theocracy, Iran’s mullahs maintain an iron grip on power. Rouhani did not become president to push a liberalizing agenda for reform. He was hand selected by Ali Khamenei to present the West with a more benign face in order to trigger negotiations to ease crippling sanctions. The world is not going to see any competition during these upcoming presidential elections in Iran. Nothing is left to chance by the mullahs, which is why the vast majority of political dissidents, journalists, artists, filmmakers, students and anyone else stepping out of line has already been rounded up in advance of the elections. This is another fallacious argument being made that the U.S. somehow was responsible for jumpstarting an Iranian economy that ranks almost dead last in the world in transparency and corruption. Also, since sanctions related to terrorism were not part of the nuclear deal, the U.S. and Trump are under no obligation to lift them, especially since Iranian regime regularly supports terrorist groups such as Hezbollah and Shiite militias responsible for wholesale slaughter of Sunni villages in Iraq. It’s hard to imagine how much worse tensions can get when Iranian regime’s navy detains American sailors, American citizens are being held in Iranian prisons and Iran’s proxies are causing the biggest refugee crisis since World War II. Sinclair—and the rest of the Iran lobby—seems to place its collective hopes on the few wispy strands of less intensive anti-American actions than in the past as positive signs for change. 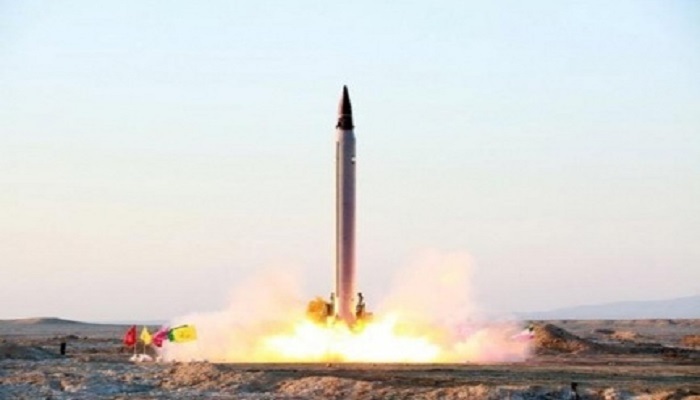 The claimed positive step is at a time that the Iranian regime test fired another Ballistic missile during this period and of course the mullahs are going to express support for the nuclear deal since its amounts to a giant ATM card the regime has been using to buy billions of dollars in new weapons from Russia. These are not encouraging signs no matter what the echo chamber says and it’s about time we ignore it. Prior to the Thanksgiving holiday, the Iran lobby launched a large PR effort aimed at trying to influence the debate starting to form as to how the incoming Trump administration should approach the problem of Iranian extremism in the Middle East, especially its support for terrorism and the escalating conflicts in Syria, Iraq and Yemen. President-elect Trump has already begun forming his national security team with the announced appointments of South Carolina Gov. Nikki Haley as United Nations ambassador, Lt. Gen. Michael T. Flynn as national security advisor, Fox News commentator K.T. McFarland as deputy national security advisor, and Rep. Mike Pompeo (R-KS) as CIA director. His selections signal a likely end to the previous administration’s policies of trying to appease the Iranian regime in order to secure a more accommodating stance from Tehran. Those policies—as evidenced by the aftermath of the nuclear agreement—clearly demonstrated that the mullahs in Tehran were no mood for moderation and clearly believed they could take advantage of the U.S. and other nations that brokered the agreement. Since the election, the Iran lobby has been faced with the uncomfortable truth that its influence in Washington is going to be greatly diminished in light of the new election results and the continued skepticism of the Iran nuclear deal by leaders like Rep. Ed Royce (R-CA) and Sen. Robert Menendez (D-NJ). But the Iran lobby is doing the bidding of the mullahs by ramping up its efforts in a last-ditch effort to try and spin a new web of obfuscations to replace the failed “echo chamber” of voices urging accommodation with Iranian leaders. The most offensive product to be produced as part of that effort was a so-called “report” issued by the National Iranian American Council and signed by 76 so-called “national security” specialists, the vast majority of whom lack any national security or military credentials or experience at all. Most were either paid staffers or consultants allied with the NIAC or academics from fields as national security related as linguistics and anthropology. While the issuance of the report itself and accompanying NIAC statement did not garner much media attention outside of blogs such as Lobelog.com supportive of the Iranian regime, some of the individuals named in the report have taken up the cause with their own media efforts to flog the idea of support for Iran. 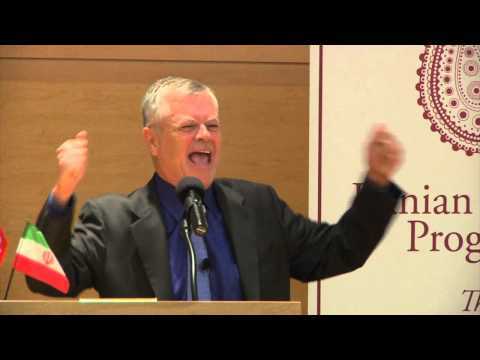 One of those was Stephen Kinzer, who penned an editorial in the Boston Globe urging Donald Trump to pursue a pathway of what he calls “dual conciliation” which reads more like a warmed over version of the failed policy of appeasement he previously urged. It is an odd thing to say since the actions of the Iranian regime have not matched the sentiments it has publicly urged. While leaders such as Hassan Rouhani have purred lines of peace and moderation, the leadership of Ali Khamenei has directed Iranian forces to deepen the war in Syria, widen sectarian violence in Iraq and start an insurgency in Yemen that threatens a direct conflict with Saudi Arabia. Kinzer is right, we should judge Iran on its actions and not the sentiments the Iran lobby would have us believe. It’s a path that Trump’s national security team has already publicly advocated during the course of the campaign in urging significant reforms to the nuclear deal, as well as holding Iran accountable for its actions. Kinzer also tries to portray Iranian mullahs as a valiant enemy of Islamic extremism in the form of ISIS, but does not even attempt to distinguish the type of Islamic extremism Iranian regime itself is responsible for. It’s another attempt by Kinzer to try and portray Iran as a “good” Islamic extremist and ISIS as a “bad” Islamic extremist. The distinction he tries to make is like trying to distinguish between Hitler’s SS and Brownshirts. To their victims, there is no difference. Similarly, he fails to note that the Iranian regime is the central source of the instability raging through the Middle East. By trying to link the unrest to a supposed Saudi Arabia vs. Iran conflict, he ignores Iranian regime’s use of terrorist proxies in Hezbollah or insurgents such as the Houthis in Yemen or Shiite militias in Iraq to wage unrelenting war. Therefore unlike his proposal, Iranian regime is not going to be any kind of security partner for the rest of the world. 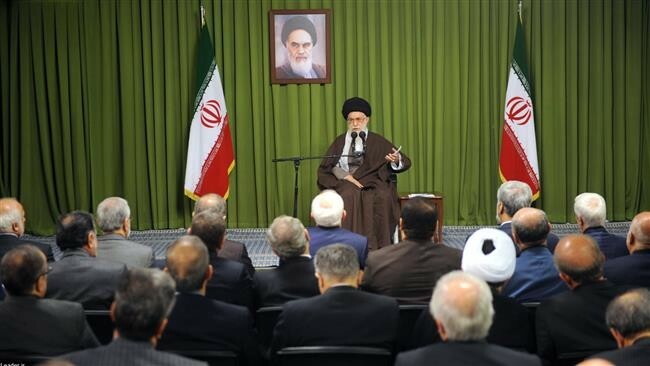 Iranian regime has attempted to build a Shiite extremist dominant empire with wars in Syria, Iraq and Yemen to wrest those controls under its control alongside Lebanon and possible Egypt. None of this should be unexpected since Kinzer is widely known to be a left leaning and a strong critic of the correct policies, especially as it relates to in confronting Latin American and Middle Eastern dictatorships, authoring books on the subject, which we assume makes him a “national security” expert. Kinzer has long advocated policies of non-intervention which makes him an adequate tool for the NIAC in trying to protect Iranian regime from any repercussions for its actions. 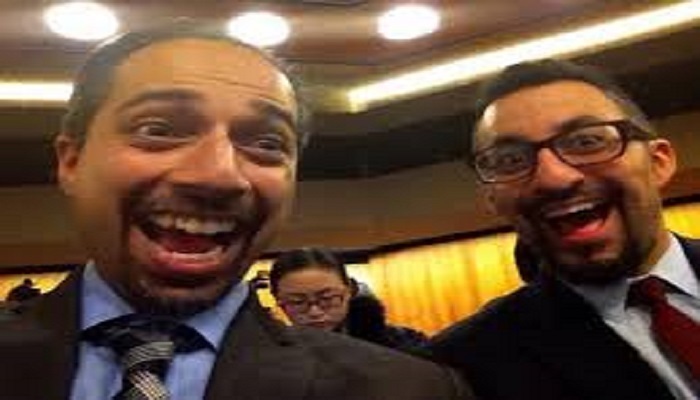 Like his fellow Iran lobby advocates such as Trita Parsi of the NIAC, they are finding a shrinking audience for their message of appeasing the mullahs in Tehran in light of the evidence of a year of Iranian human rights crackdowns and several violations of the nuclear agreement. We can only hope the Trump administration maintains its skeptical eye to future promises of Iranian moderation. The New York Times magazine published an in-depth examination by David Samuels of Ben Rhodes, the 38-year-old deputy national security advisor for strategic communications in the Obama administration, who detailed his strategy for passing the Iranian nuclear agreement and close coordination between the administration and various members of the Iran lobby, including several people and organizations closely tied with the regime. The piece is a stunning admission of how the Obama administration’s policy of appeasing the mullahs in Iran was closely coordinated with the Iran lobby and how their efforts were designed to build a PR campaign designed to project a false image of the regime and cover the most extreme actions by Iran including severe human rights violations and its sponsorship of terrorism. Since the nuclear agreement was completed, Rhodes has worked overtime to continually keep bad news about the Iranian regime from obstructing the president’s goals of fostering new relations with the regime no matter how provocative the acts. One example was the unlawful detaining of 10 U.S. sailors by the Iranian regime and how Rhodes worked to keep the news from breaking before President Obama’s final State of the Union speech. As the Times recounts, Rhodes found out about the Iranian action earlier that morning but was trying to keep it out of the news until after the president’s speech. “They can’t keep a secret for two hours,” Rhodes says, with a tone of mild exasperation at the break in message discipline. These messages were also conveyed in cooperation with regime supportive groups such as the Ploughshares Fund, which helped fund the notorious National Iranian American Council which similarly carried the administration’s messages, as well as fed them through ex-staffers who were now working with Rhodes. The story goes on to describe how the administration had been eager to do a deal with the Iranian regime going as far back as 2012 irrespective of the regime’s countless violations and aggressive acts. The narrative Rhodes developed centered around the perception that “moderates” led by Hassan Rouhani beat “hardliners” and provided the opening to do a deal with Iran and empower these “moderates.” It was a well-worn lure the mullahs had tossed out time and time again, and in Rhodes, they found a receptive and willing audience for their lies. “The idea that there was a new reality in Iran was politically useful to the Obama administration. By obtaining broad public currency for the thought that there was a significant split in the regime, and that the administration was reaching out to moderate-minded Iranians who wanted peaceful relations with their neighbors and with America, Obama was able to evade what might have otherwise been a divisive but clarifying debate over the actual policy choices that his administration was making,” the Times wrote. An aggressive digital outreach campaign was launched in support of the nuclear deal that included using the Twitter handle @TheIranDeal to ensure no negative tweet about the deal passed without a rebuttal, as well as enlisting journalists who supported the Iranian regime such as Laura Rozen of Al-Monitor, who essentially served as an automatic retweeter for the administration and Iran lobby on the subject. The White House point person during the later stage of the negotiations was Rob Malley, a favored troubleshooter who is currently running negotiations that could keep the Syrian dictator Bashar al-Assad in power, another high priority item for the Iranian regime. At one point Rhodes even acknowledges that regime leader Hassan Rouhani and Javad Zarif, the regime foreign minister, are in fact not “real reformers,” which makes his work to sell the deal to the American public one of the greatest deceptions ever played on them. The Iran deal, you may recall, was wildly unpopular with the American people. To ensure senators didn’t cast a two-thirds vote against it and kill it, the White House set up a digital response “war room” whose purpose was relentlessly to make the case that a vote against the deal was a vote for war, he writes. It could only work if water-carriers did the White House’s job for it, and nonprofit water-carriers did their faithful duty. 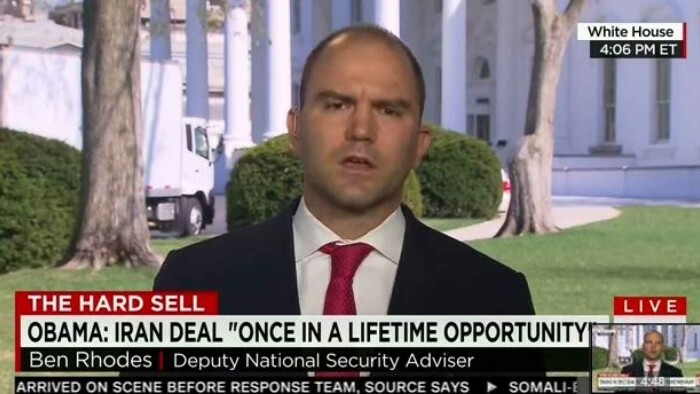 “We created an echo chamber,” Rhodes tells Samuels about the journalists and think-tankers who were discussing the Iran deal based almost entirely on information given to them by the White House. “They were saying things that validated what we had given them to say,” Podhoretz adds. The reality of the Times piece is to shine a bright light on how disingenuous the entire debate was around the Iran nuclear deal; a deal that has empowered a weakened, unstable Iranian regime and allowed it to continue during a time following the Arab Spring and protests over the 2009 uprisings in which it teetered on the brink of collapse. The Iran lobby, led by the National Iranian American Council, has ratcheted up the propaganda machine to take direct aim at Saudi Arabia in the growing escalation in tensions between it and the Iranian regime. This was highlighted in back-to-back editorials by Trita Parsi and Reza Marashi of NIAC as well as a steady parade of attack pieces by Eli Clifton and Paul Pillar on Lobelog.com, all attempting to portray the Iran regime as the picked on softie and Saudi Arabia as the menacing bully. It’s a curious, but not unsurprising, direction for the Iran lobby since the rise in tensions with Saudi Arabia and other neighboring Arab states have brought to the forefront one unmistakable point the rest of the world cannot ignore; the Iranian regime is always at the center of the world’s most dangerous conflicts. Be it in Syria by its support of the Assad regime, or in Yemen through its support of Houthis rebels or in Iraq through Shiite militias, the mullahs in Tehran have manipulated events to create disorder in order to gain footholds in neighboring nations to establish the Shiite version of the Warsaw Pact as a buffer from its adversaries. But the delusional arguments being pedaled by the Iran lobby to cover for Iran’s aggressive expansions have ranged all over the map as it has tried anything to explain away the sectarian violence and bloodshed coming at the behest of the Iranian regime. Take for example Parsi’s editorial appearing in Al Jazeera in which he attempts to portray Saudi Arabia as a “declining state” and Iran as a “rising state” by way of explaining why Saudi Arabia is resisting Iran so strenuously. Most historians would disagree with Parsi and most political and military analysts would find his comment nonsensical since the defining parameters for nations to act “recklessly” often form around issues of resources, economy, wealth and even faith. The “decline” of a nation can be defined in a similarly wide variety of methods, none of which would apply to Parsi’s reasoning. Empires and nations can decline through environmental degradation such as the Harappan Civilization in the 22nd century BC in what is now called Pakistan or the Minoans centered on the island of Crete which met its demise in 1450 BC when a volcano erupted. They can also decline through war such as the ancient Roman Empire or the Ottoman Empire at the end of World War I. In all these cases, nations and empires in decline were not cited for “reckless” action as a reason for their declines. If anything, history teaches us that declining empires are often the victims of aggressive neighbors who sense weakness and an opportunity to acquire more territory, more wealth or more slaves. Modern history has taught us that lesson especially well as in the growth of totalitarian states such as Nazi Germany or now the Iranian regime in which aggression is more often the hallmark of these nations’ leadership. Accommodation is viewed as weakness, negotiation is a tactic to hold off retaliation and military action is a tool of statecraft. Parsi believes then that in the modern world the only options open for nations that feel threatened is to seek out confrontation and create crisis. Going by that standard, the nations in the greatest decline would seem to be China, North Korea, Russia and Iran given the recent track records of confrontation in the South China Sea, Ukraine, nuclear bomb tests and – in the case of the Iranian regime – aggressive actions in Syria, Iraq and Yemen. On that basis alone, Iran would seem to be the nation in steepest decline using Parsi’s logic. Parsi neglects to also mention the near Hail Mary-like request of the mullahs in Tehran to bring in Russian intervention in Syria to save the Assad regime. If anything, the recent actions by the Saudis and other nations to sever relations with Iran including Bahrain, Sudan, United Arab Emirates and Kuwait, all reflect a newfound strength and resolve from nations that have typically come to rely on U.S. power to protect them. If anything, these nations have opted to poke the Iranian beast in the eye and finally stand up to the largest supplier of terrorist groups in the world. These nations have sought to halt the flow of arms into their nations with crackdowns on Islamic extremists receiving weapons and explosives from Iran’s Revolutionary Guards Corps and even acted militarily to in Syria and Yemen and break from the historical patterns of only supplying cash to U.S. or European allies. The recent acts by the Iranian regime to violate UN sanctions with ballistic missile launches and threaten to walk away from the nuclear deal it agreed to last July smack more of the desperation Parsi writes about than anything Saudi Arabia has done. 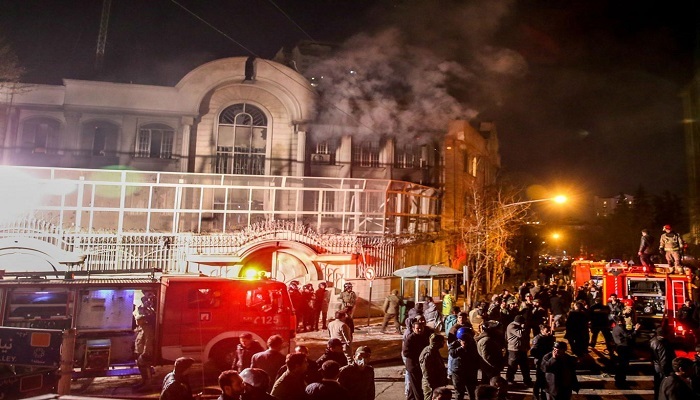 Parsi largely blames these acts and the recent burning of the Saudi embassy in Tehran as the result of a small “hardliner” segment at odds with the “moderate” leadership of Hassan Rouhani. 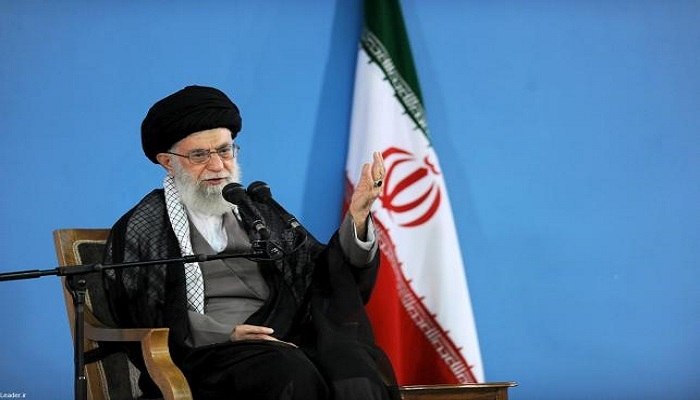 It’s a common canard offered by the Iran lobby and one that fails to seriously discuss the true nature of the regime, which is as a theocracy, Iran is firmly and fully in the control of Ali Khamenei and the other mullahs. Any other interpretation is either naïve or deliberately obtuse. It’s worth noting that the mullahs have a penchant for burning down foreign embassies having done so to the Americans in 1979, the British in 2011 and now the Saudis in 2016. One might wonder who’s next for an encore. As 2015 rolled into 2016, the world celebrated with fireworks, parties, countdowns and even offered prayers for a peaceful new year, but the Iran regime dashed those hopes and threw cold water on the festivities by once again flexing its ideological muscle in regards to its illegal ballistic missile program. Regime president Hassan Rouhani kicked off the New Year by delivering an order to his defense minister to expedite development of the regime’s ballistic missile program in response to threatened new U.S. sanctions set to be imposed on Iranian defense companies. Rouhani made his comments on his official Twitter account throwing into confusion the nuclear agreement completed last July. It was a confusing situation being created since the Obama administration had been moving aggressively to begin dismantling economic sanctions under the agreement as early as this month, while at the same time it was set to impose new sanctions for the illegal test firing of two new ballistic missiles in violation of United Nations Security Council sanctions. 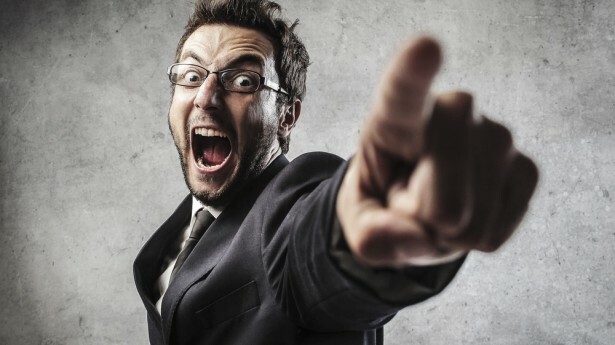 The schizophrenic nature of the situation illustrates perfectly the almost comical nature of the nuclear agreement where on the one hand the Obama administration is almost tripping over itself to grants relief to the Iran regime, while at the same time rattling its sword over illegal missile development; development it allowed to happen in the first place by removing them as a condition of the same nuclear agreement. It also brings into sharp focus the essential nature of the Iranian regime which is to push the proverbial envelope as far as it can in taking advantage of its adversaries’ disarray. Regime defense minister Hossein Dehghan spoke on state television saying he intended to make the regime’s missiles more powerful. But in a contest of who might blink first, the Obama administration opted to delay implementation of the proposed sanctions amid threats by the mullahs in Tehran that any fresh U.S. sanctions might force the regime to pull out of the deal; a deal promising to deliver over $100 billion in badly needed cash to the regime. While Obama officials offered no definitive timeline as to when these sanctions might be imposed, the announcement to impose them was originally scheduled for last Wednesday. By Thursday, members of Congress criticized the administration’s decision to pull back as another capitulation and appeasement to the mullahs. Top U.S. lawmakers, including White House allies, said they believed failing to respond to Tehran’s two recent ballistic missile tests would diminish the West’s ability to enforce the nuclear agreement reached between global powers and Tehran in July. Critics of the White House accused President Obama of backing down on his promises to take action in the face of Iranian provocations such as missile launches. They drew parallels to Mr. Obama’s failure to follow through on threats to launch military strikes on Syrian President Bashar al-Assad’s regime in 2013 in response to its use of chemical weapons against civilians. “I fear that pressure from our ‘partners’—or threats from the Iranian government that it will walk away from the deal or threaten the U.S. in other ways—have caused the administration to rethink imposing sanctions for Iran’s violations of the testing ban,” said Sen. Bob Corker (R., Tenn.), chairman of the Senate Foreign Relations Committee. The on-again, off-again nature of these new sanctions does little to strike fear in the hearts of the mullahs and if anything, emboldens them into believing nothing they do will earn a rebuke from Washington. The United States has also accused Iran’s Revolutionary Guards of recklessly and provocatively firing rockets this week in the vicinity of American warships in the heavily trafficked Strait of Hormuz, a vital international waterway bordering southern Iran that connects with the Persian Gulf, in another sign of belligerent activity from the mullahs. The confrontation over ballistic missiles and increased level of animosity between the regime and the U.S. in the wake of the nuclear deal points out the incredible pile of falsehoods pushed by the Iran lobby – most notably the National Iranian American Council – which promised a new era of moderation and cooperation and instead has seen fresh terror attacks in Paris and San Bernardino inspired by Islamic extremism, launches of new ballistic missiles and the near state of war between the Iran regime and Saudi Arabia. Hardly a recipe for peace and stability in 2016 regime supporters such Trita Parsi of NIAC and Jim Lobe at Lobelog promised. Nothing could be further from the truth. In fact, new disclosures from former and current U.S. officials clearly show the Iranian regime has been behind some of the most disturbing and threatening cyberattacks against the U.S. in recent memory. 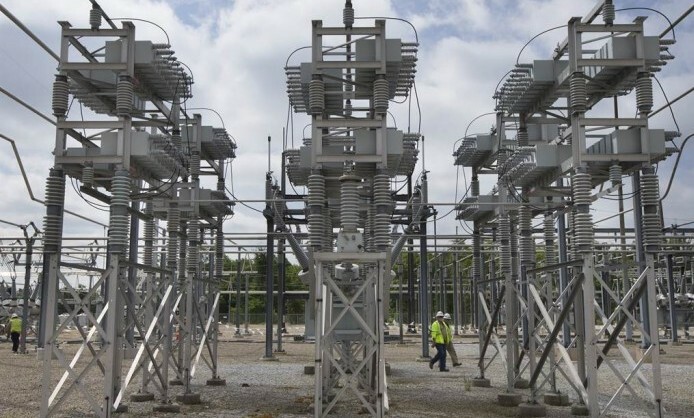 According to the Wall Street Journal, Iranian hackers infiltrated the control system of a small dam less than 20 miles from New York City two years ago. The breach came amid attacks by hackers linked to Iran’s government against the websites of U.S. banks. U.S. intelligence agencies noticed the intrusion as they monitored computers they believed were linked to Iranian hackers targeting American firms, according to people familiar with the matter. U.S. officials had linked these hackers to repeated disruptions at consumer-banking websites, including those of Capital One Financial Corp., PNC Financial Services Group and SunTrust Banks Inc., the Journal reported at the time. The escalation in cyberattacks by Iranian-based hackers represents a new phase in aggressive hostilities punctuated by increases in actual armed conflict with the launching of a new offensive in Syria in support of the Assad regime by the mullahs in Tehran. While the Obama administration has long held to the idea that Assad needed to go in order to bring about an eventual political solution in Syria, the military support coming from Russia has potentially altered the political calculus of the administration to finding a way to keep Assad in power as a bulwark against the perceived greater threat of ISIS. “The calculation that the White House has made is that working with Assad is less bad than the alternative of going to war with Russia over Assad, or of sending in a large number of American troops to fight the Islamic State on the ground,” says Joshua Landis, who heads the Center for Middle East Studies at the University of Oklahoma, to the Washington Times. The administration’s approach is facing biting criticism from lawmakers on Capitol Hill, several of whom argue that the White House has no clear strategy for defeating the terrorist group also known as ISIS and ISIL and is badly following Russia’s lead on Syria as a whole. The issue also has become a divisive one on the presidential campaign trail. President Obama’s former top diplomat, Hillary Clinton, is aligned with Republican contenders Marco Rubio, Jeb Bush and Chris Christie in asserting that Assad’s ouster should be a top U.S. priority in any serious strategy to defeat the Islamic State. Tied to that is the prickly question of what to do about the Iranian regime’s total support of Assad in terms of foreign fighters, cash and weapons. It is a question that is increasingly being answered by critics as requiring a strong response from the U.S. and allied countries to back Iran off from supporting Assad and allowing a reduction in fighting for a political solution to take shape. According to the Michael Singh writing in then Wall Street Journal, Sen. Bob Corker has noted, since the agreement was signed in July, the regime has sentenced Washington Post reporter Jason Rezaian–who has been in jail for more than a year–and imprisoned another Iranian-American. It has defied United Nations sanctions by exporting arms to Yemen and Syria; by dispatching Qasem Soleimani, chief of the regime’s Quds Force, and other sanctioned officials to Russia, Iraq, and elsewhere; and by conducting two ballistic missile launches. Iranian hackers have reportedly engaged in cyberattacks on the State Department. Tehran also refused to fully cooperate with the International Atomic Energy Agency investigation into its nuclear weapons research. “Iran is following through on the nuclear deal it struck with a U.S.-led coalition in an utterly predictable way: It is racing to fulfill those parts of the accord that will allow it to collect $100 billion in frozen funds and end sanctions on its oil exports and banking system, while expanding its belligerent and illegal activities in other areas — and daring the West to respond. “By flouting the U.N. resolutions, Iran is clearly testing the will of the United States and its allies to enforce the overall regime limiting its nuclear ambitions. If there is no serious response, it will press the boundaries in other areas — such as the inspection regime. It will take maximum advantage of Mr. Obama’s fear of undoing a legacy achievement, unless and until its bluff is called. That’s why the administration would be wise to take firm action now in response to the missile tests rather than trying to sweep them under the carpet,” warned the Washington Post. That effort to appease the mullahs at all costs has manifested itself in the manner the Obama administration is literally prostrating itself before the mullahs over the issue of the visa waiver program changes contained in the recently passed omnibus funding bill. “In the latest example of the U.S. effort to reassure Iran, the State Department is scrambling to confirm to Iran that it won’t enforce new rules that would increase screening of Europeans who have visited Iran and plan to come to America,” they write. “House staffers who spoke with us say Iran was included for good reason, because it remains on the U.S. list of state of sponsors of terrorism for its open support for Hezbollah and Hamas. The White House did not object until the Iranian government told the administration last week that the bill would violate the nuclear agreement, according to correspondence on these negotiations shared with us,” Lake and Rogin added. The willingness for the U.S. to not press the Iran regime on these and a wide range of issues, including the most recent cyberattacks, only reinforces the same bad behavior by the mullahs. But on a more personal level, the plight of individual families was highlighted by an editorial written by Daniel Levinson, son of retired FBI agent Robert Levinson, who disappeared in Iran in 2007 and has not been produced by regime despite repeated demands. For the Levinsons and countless other families impacted by the barbaric cruelty of the Iranian regime, the price of not standing up to the mullahs only goes up with each new act of appeasement. If You Never Talk About Human Rights, Maybe It Doesn’t Exist? The first thing they teach you in any 12-step recovery program is that you have to admit you have a problem before you can start the road to getting better. The Iran lobby suffers from the basic problem that it cannot admit it has a problem backing a regime that has absolutely no intention of ever abiding by international norms of civility and normality. Depending on your point of view, Iran regime supporters such as Trita Parsi of the National Iranian American Council or Jim Lobe of Lobelog, or Gareth Porter is either partners with the regime or unwitting dupes who are hopelessly locked into a myopic point of view regardless of the facts disputing their worldview. If we take the more charitable view and give them the benefit of the doubt about their motivations, then it is a head scratching moment to think of why they virtually ignore human rights violations in Iran in almost all of their public pronouncements, media interviews and social media postings. Why would anyone proclaiming deep interest in the well-being of the Iranian people never say a contrary word about record levels of arrests, imprisonments and executions? Take for example the NIAC, which any casual perusal of its website would reveal little criticism of the Iran regime on the issue of human rights. In fact, if you type in “human rights” in its search box, you’ll find the bulk of any mention about human rights issues occurs during the run up with nuclear talks, but after the deal is done…nothing. Even more impressive, for the entire year of 2015 so far, NIAC only issued one statement even mildly criticizing Iran on the issue of Washington Post reporter Jason Rezaian who was arrested and falsely accused by the regime of espionage. Considering the litany of human rights abuses so far in 2015 in Iran, including over 1,000 public executions, the holding of five Americans illegally, the suppression of mass demonstrations and the support for terrorist acts and proxy wars in three different countries, it’s a wonder the NIAC could even be bothered to issue the single statement it did. But like the age-old philosophy question posed by professors everyone, “if a tree falls in the forest and no one is around to hear it, does it make a sound?” The same question could be applied to the NIAC and other regime supporters within the Iran lobby. If you never talk about human rights, do you think they don’t exist? The only substantial mention about human rights from NIAC comes within the context of passing the nuclear agreement with Iran as a pathway towards a more moderate and forgiving Iran. As we have seen, the true nature of the Iranian regime has been revealed since passage of the agreement with a wide range of bewildering, militant and aggressive acts ranging from the alarming such as the test firing of new ballistic missile design capable of carrying nuclear warheads to defending the meaning of keeping its “Death to America” chants. In all of these cases, the NIAC and other regime supporters have been silent as a tomb in raising any concern or these aggressive acts by the regime and in the one specific case where Iranian-American businessman Siamak Namazi, a key supporter of the NIAC and the regime, was arrested in Iran and tossed into the infamous Evin Prison, NIAC issued a statement expressing how “deeply troubled” it was by the report, but then spent most of the statement trying mightily to distance itself from Namazi. You have to pity Namazi. On the one hand he had devoted considerable time and effort working with Trita Parsi and Reza Marashi during their collective time together at the consulting company Atieh on opening up avenues for the regime past sanctions imposed by the rest of the world, but then once he wears out his own welcome with the regime and gets tossed in prison, his old friends claim no knowledge of him. You’d think Namazi would have chosen more reliable friends. But the NIAC’s lack of concern over human rights is more likely a function of the fact that any deep discussion of human rights is ultimately embarrassing to the regime and hinders the process of gaining advantages for the mullahs in Tehran. Since the Obama administration was readily agreeable to the idea of un-linking human rights from nuclear talks, the regime has been essentially freed from the pesky restraints of being sanctioned or held accountable for anything it does from now on. This explains why the Iran regime has closed its deal with Russia to buy advanced S-300 anti-aircraft missile batteries, launched a series of cyberattacks on U.S. and European computer systems, broadened its offensive in Syria, and attempted smuggling even more weapons to support Houthi rebels in its proxy war in Yemen aimed at Saudi Arabia next door. The alarming increase and speed in actions by the Iran regime has spawned a broad and equally alarmed reaction from many and warnings are now being raised on the eve of the presidential election in 2016 that restraining and controlling Iranian regime may now rank as serious a foreign policy issue as combatting ISIS for most Americans. These reactions come from small community newspapers such as the Staten Island Advance editorializing against the flaws in the nuclear deal to major market editorials such as the New York Post warning how mullahs in Iran have used the nuclear deal as a blank check to go wild. The negative reactions have also come from both sides of the political aisle as evidenced by an editorial by Reps. Gerald E. Connolly (D-VA) and Richard Hanna (R-NY) in Huffington Post advocating their proposal for a new joint commission to monitor and verify Iran’s compliance with the nuclear deal as an additional safeguard to what they call a flaw in the nuclear agreement. We can only hope it is not an example of too little, too late. The sudden and surprising arrest by Iran regime officials of Siamak Namazi raised the eyebrows of many veteran Iran watchers; not the least because Namazi has been an integral part of efforts to build a lobbying force in the U.S. used to support the regime’s political goals, namely passage of a just-completed nuclear agreement. In fact, the ties between Namazi and Trita Parsi, the founder of the National Iranian American Council and leading lobbyist for the regime, have been well documented, all of which raised the question of why would regime leaders order the arrest of one of their own? The very question indicates how wrong most analysts are about Iranian mullahs in the first place. Many people, including apparently Namazi, long assumed that if you towed the party line of the mullahs, you were always going to be in their good graces and in Namazi’s case, he hoped to reap the financial rewards that came from that association in the form of guiding foreign investment into Iran following the nuclear deal. But what he failed to understand and what many others have failed to grasp even as they tried appeasing these same mullahs is that they are never going to allow anyone into their tight circle of control who does not follow their proscribed fundamentalist and extremist religious beliefs. For the mullahs in Tehran, the coin of the realm is not just money; the constitution vests absolute authority with Ali Khamenei and his cadre of mullahs who oversee the judiciary, military and foreign affairs and vast tracts of the economy, while have an unrelaxing temptation for expansion of their authorities in to neighboring countries. The Iranian Revolutionary Guard Corps wields disproportionate influence through its monopolistic control of entire industries such as telecommunications, petroleum, finance and agriculture. Iran’s theocracy controls planning of the economy and dispenses its meager rewards to the Iranian people, while reserving the bulk of the financial gains for its elites, their families and the military campaigns it funds overseas in Lebanon, Syria, Iraq and Yemen. For Namazi and Parsi and their fellow Iran lobbyists, the suddenness of the arrest was jarring, but it should have not comes as a complete surprise since the mullahs have long practiced the art of score-settling amongst their factions with sham trials, imprisonments and even executions. But unlike what Parsi and his ilk would have the rest of the world believe, the fight in Iran’s leadership is not between “moderates” and “hardliners,” but in fact is between factions of corrupt mullahs bickering over the booty they rob from the Iranian people. The fact that every effort to promote a “moderate” faction within Iran has met with utter failure is indicative not of the lack of passion within the Iranian people for regime change, but rather the ruthless willingness of the mullahs to use deadly force against their own people to keep tight their grip on power. Also since signing of the nuclear agreement, Khamenei has made it his mission to remind the world the he does not view adherence to the terms of the agreement to be beneficial to the regime, nor indispensable. In fact, in his mind, anything that compromises the extremist Islamic fanaticism is the antithesis of what the mullahs want. For Khamenei, getting a $150 billion check from unfrozen assets with no strings attached is the best possible alternative. Khamenei is eager for the money in order to continue funding his vision of an expanding Islamic sphere of influence stretching from the Mediterranean to the Indian Ocean, but he does not want to jeopardize it with young Iranians clamoring for access to Snapchat on their iPhones while wearing clothes from Old Navy, which is why the arrest of Namazi, a putative supporter of the regime, tells us clearly that the regime intends to be the one calling the shots and not the other way around.